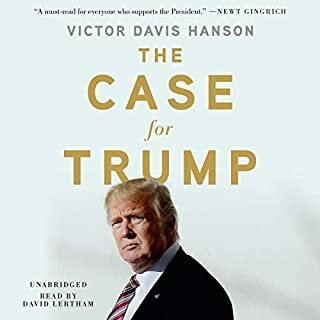 In this bold and brilliantly argued book, acclaimed author and talk-radio host Michael Medved zeroes in on 10 of the biggest fallacies that millions of Americans believe about our country - in spite of incontrovertible facts to the contrary. 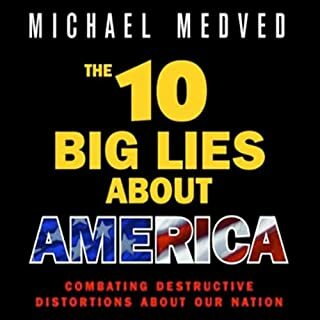 In The 10 Big Lies About America, Medved pinpoints the most pernicious pieces of America-bashing disinformation that pollute current debates about the economy, race, religion in politics, the Iraq war, and other contentious issues. Every American benefits every day from the phenomenal productivity of the free market, so why do so many people feel guilty or skeptical about our business system? In this passionately argued, eye-opening book, talk-radio star and best-selling author Michael Medved provides detailed and devastating rebuttals to the most widely circulated smears against capitalism. The Jefferson Lies tackles seven myths about Thomas Jefferson head-on and answers pressing questions about this incredible statesman. In defense of the original; but not the original. In The American Miracle, best-selling author and radio host Michael Medved recounts some of the most significant events in America's rise to prosperity and power, from the writing of the Constitution to the Civil War. He reveals a record of improbabilities and amazements that demonstrate what the Founders always believed: that events unfolded according to a master plan, with destiny playing an unmistakable role in lifting the nation to greatness. 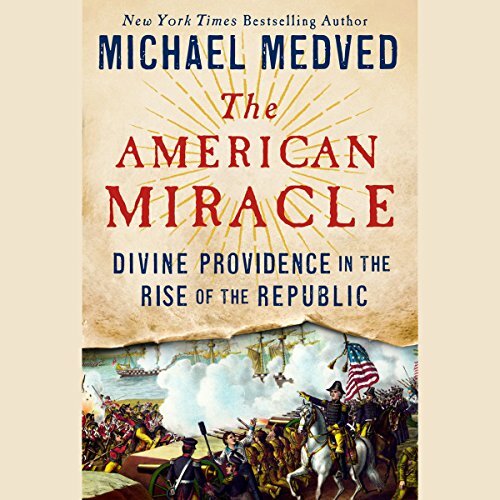 When millions worry over the nation losing its way, Medved's sweeping narrative, bursting with dramatic events and lively portraits of unforgettable, occasionally little-known characters, affirms America as "fortune's favorite", shaped by a distinctive destiny from our beginnings to the present day. Loved it. I know it took a lifetime of historical interest to compile these amazing events and facts in American history! Well done Michael and your team! I've never listened to Mike's radio program. 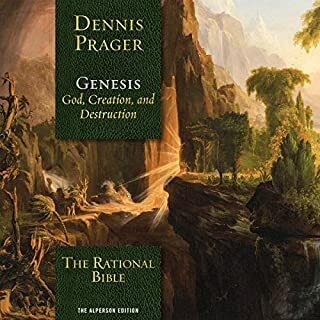 This book is exceptional! The stories are terrific and they make you reflect on God's Providence they may be happening all around us. Unfortunately, we only come to realize well after the fact. What made the experience of listening to The American Miracle the most enjoyable? The providential "coincidences" he chronicles throughout the work are enough to literally make the spine tingle. The content is fascinating! And in addition to being an historian, Michael is an excellent storyteller. Read in a clear and deliberate way that helped me relish every detail. 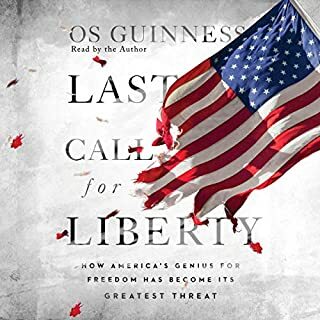 I feel we've been given a gift by Michael Medved through his research, creation of and performance of this audiobook. This is far and away beyond what I consider just a "good book." 5 stars with no reservations. Loved it! I listened to this while running, and it was so fascinating I just wanted to keep going and going so I could hear more! Excellent historical account of vital events in the American narrative infused w evidence of divine intervention - undeniable coincidences & seemingly illogical strokes of luck that shaped our nation. This book is very intriguing and maintained my interest throughout. It highlights many events that lined up to impact our history--events that seem to be far more than coincidental and reveal the hand of Divine Providence! Just finished American Miracle by Michael Medved. A great history of our United States and probably one of the best reading performances I've heard thus far. It's not about American exceptionalism, but about American responsibility toward God and mankind because of His forming and preservation of our country. Amazing stories of true miracles! Love God? Love America? This read is for you! I learned important history of our country that has been hidden or hard to find like the story of Nicholas Trist, the gold rush and California becoming part of the United States. This book is a treasure! Well done history of early America, with notable twists of fate, good and bad. 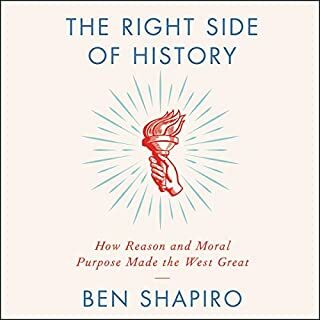 This book confirmed my love of history and this Nation. This was an enjoyable listen. The author has done his research well. 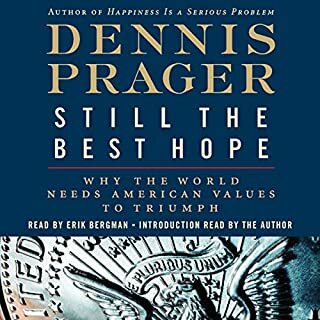 It is a very well put together book combining facts with the experiences and opinions of the author and countless others on the matter of The U.S. being a nation chosen and guided by God to do great things in the world notwithstanding the many setbacks and challenges it has faced. I enjoyed the thorough history and explanations of many events and people from the past that shaped the nation.